The superstar record producer is set on shedding the pounds this year. The music star has partnered with the weight loss company and will share his experiences across social media channels Twitter, Instagram, Snapchat and Facebook. 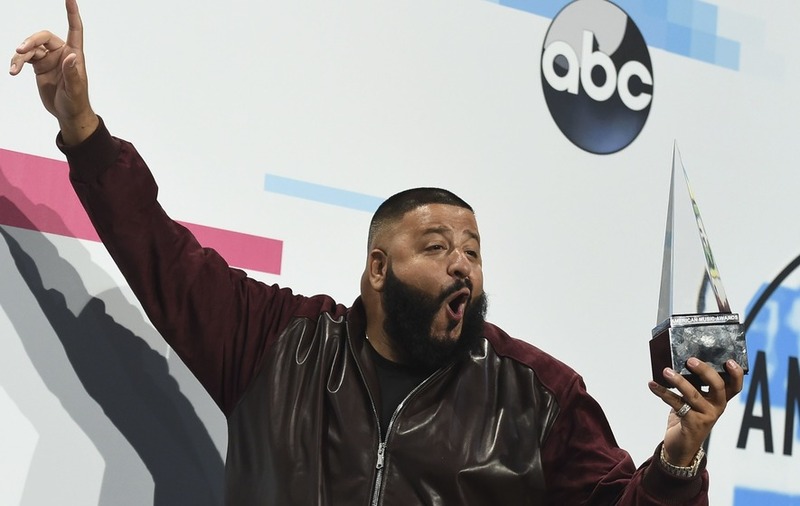 DJ Khaled, who is known for hits including Wild Thoughts with Rihanna and I’m The One with Justin Bieber, was overjoyed to receive a message from Winfrey – who owns a 10% stake in the company – about his Weight Watchers journey. Happy new year!!!!!!!! @oprah !!!!!!! Let’s win more !!!! GOD IS THE GREATEST! WETHEBEST!!!!  BLESS UP!! The smile  you make when @oprah tweets you ! #2018 let’s go! DJ Khaled told his nine million Instagram followers that he has already lost 20lb (9kg) in weight using the brand’s Freestyle plan. He wrote: “In full 2018 mode … excited to be living this #WWFreestyle life with you. “I already Got rid of 20 pounds and ready for more. Ride with me on my journey to greatness. Bless up Weight Watchers!!! Weight Watchers said the 42-year-old “will document his experience and progress on the new WW Freestyle programme, speaking candidly about how the programme has given him the freedom and flexibility to make healthier choices while keeping up with his busy lifestyle.”.